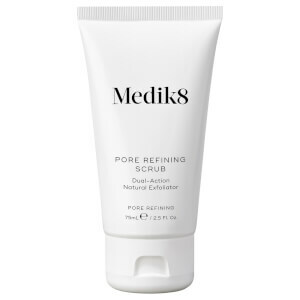 Experience a skin refining cleanse with Medik8 Surface Radiance Cleanser, an exfoliating face wash that promotes a smoother, brighter-looking complexion. 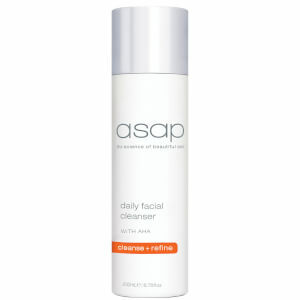 The best-selling cleanser is fortified with an advanced exfoliating complex of AHAs and BHAs, plus Glycerin for a deep cleansing and pore-refining effect. Eliminating impurities and pore-clogging debris without stinging or dryness, the refreshing daily cleanser will effectively lift away dirt and build-up while providing natural antioxidant protection with extracts of Mangosteen and Raspberry. Regular exfoliation will smoothen and refine skin's texture, and may also help prevent signs of premature ageing. 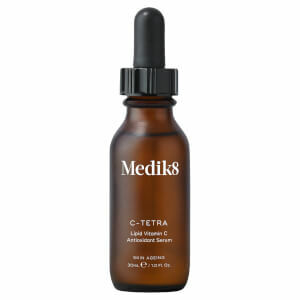 After use, skin regains a more even tone and luminous clarity. Free from artificial fragrance, parabens, palm oil, synthetic colours, phthalates and alcohol. Cruelty free. Every morning and evening, apply a small amount of cleanser into the palm of the hand and massage into moistened face and neck. Gently remove by splashing with water and pat face dry. Aqua (Water), Sodium C14-16 Olefin Sulfonate, Sodium Cocoamphoacetate, Cocamidopropyl Hydroxysultaine, Sodium Chloride, Glycerin, Salicylic Acid, Mandelic Acid, Citrus Aurantium Dulcis (Orange) Peel Oil, Citrus Aurantium Dulcis (Orange) Fruit Extract, Disodium EDTA, Citrus Aurantium Bergamia (Bergamot) Fruit Oil, Garcinia Mangostana (Mangosteen) Peel Extract, Yucca Schidigera Root Extract, Lactic Acid, Sodium Hydroxide, Citrus Grandis (Grapefruit) Peel Oil, Rubus Idaeus (Raspberry) Fruit Extract, Yogurt Extract, Phenoxyethanol, Citrus Aurantifolia (Lime) Oil, Citrus Aurantium Amara (Bitter Orange) Peel Oil, Limonene, Ethylhexylglycerin.